Stock markets closed on Wednesday with downward trend due mainly to price fall in large-cap securities despite higher transactions. The falling major sectors were food and allied, financial institutions and insurance. A total of 145 securities of the large-cap group moved down due to lower activities. 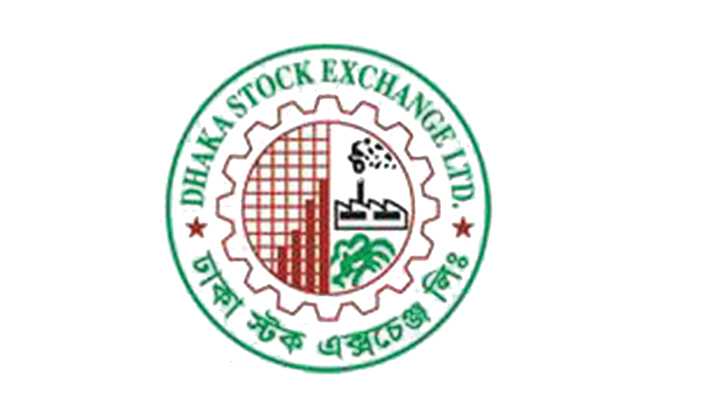 The broader DSEX index of Dhaka Stock Exchange (DSE) closed the day with 26.81 points down at 5,711.83. The Shariah DSES and the blue-chip DS30 also followed the same trend with 5.09 points down at 1,314.64 and with 15.76 points down at 1,998.65. The daily trade increased to 14.44 crore shares from Tuesday’s 13.24 crore shares and the day’s trade value at DSE rose to Taka 689.25 crore from Taka 679.46 crore of the previous session, reports BSS. At DSE, out of the day’s 346 securities, prices of 105 securities closed higher against 190 losing issues. The major gaining issues were AIL, National Polymer, Monno Ceramics, Legacy Foot and Nurani. The major losing companies were Emerald Oil, Premier Leasing, Zeal Bangla, Paramount and Shyampur Sugar. UPGDCL topped the turnover list followed by Fortune, Monno Ceramics, BSCCL and MPETORLEUM. The Chittagong Stock Exchange (CSE) closed the day of the week with downward trend with its major CASPI 61.11 points down at 17,473.49. At CSE, 268 issues were traded. Of those, 90 closed higher and 138 closed lower when 68.57 lakh shares worth Taka 23.11 crore changed hands.